Bruno, the cat in the checkered cap, takes life as it comes. When its too rainy to go outside, he rustles up an inside picnic with his friends. When he meets a fish swimming in the air, he follows it. Why not! When the canary forgets how to sing, Bruno helps out. 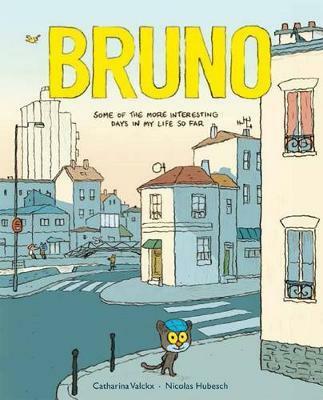 Days come and go, and for Bruno they always bring something interesting. And once in a while, a day comes along that is just about perfect! These six linked stories by a top childrens writer and renowned comic artist are full of friendship, silliness, and the little moments that make life good.